The penthouse’s three-sided glass living room offers uninterrupted views and features a dramatic architectural cove ceiling. 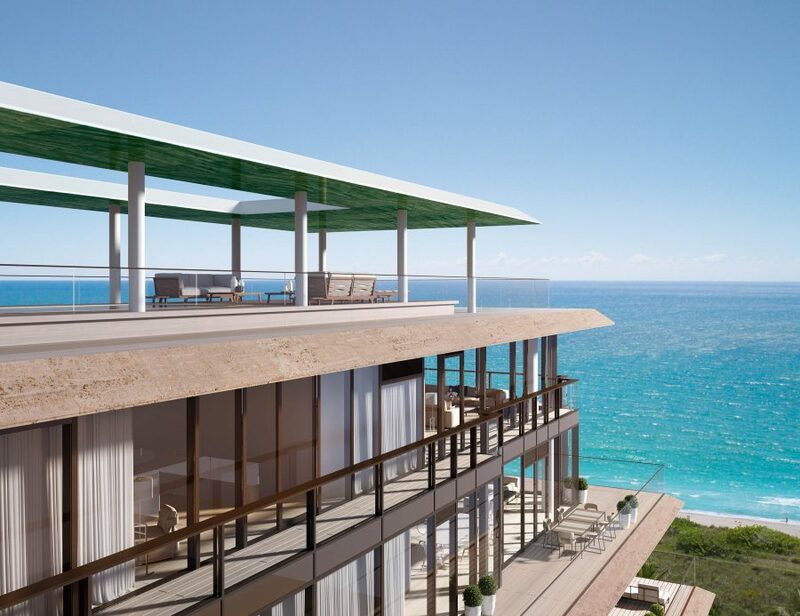 The penthouse at Arte offers sweeping views of the Atlantic Ocean, as well as stunning sunsets over the Biscayne Bay. 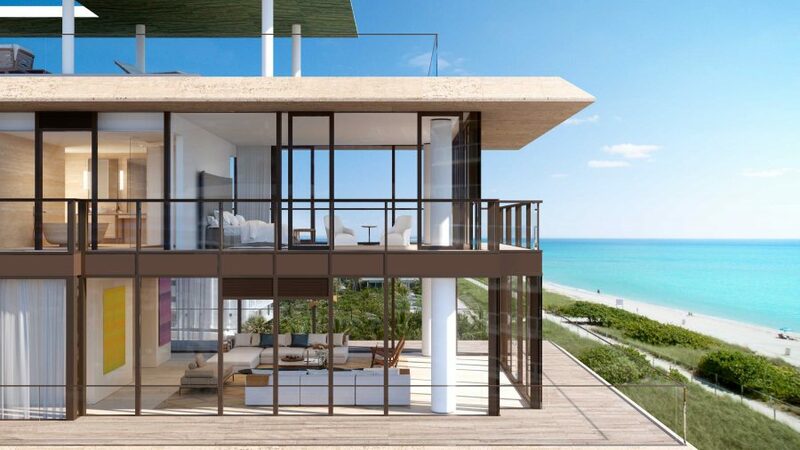 the stunning duplex penthouse offers wraparound terraces and an oceanfront living room with beach and city views, as well as a private rooftop terrace with 360-degree views of the city and the sea from a private pool and wraparound pergola. The duplex penthouse with a private rooftop terrace and pool enjoys a privileged view from all vantage points. Epicurean kitchens are outfitted with millwork by Poliform, marble countertops, and a suite of Gaggenau appliances. The private rooftop terrace and pool provide endless opportunities for entertaining and relaxation. A sculptural wraparound pergola is sheathed in botanic green quartzite and provides added shade and privacy while dramatically framing the space.